£16 – UK & HM Forces with BFPO no. Note: For security reasons your membership form is in two parts. The link above will take you to the membership form to collect your personal details. When you submit that you will receive a link to the payment page. or email membership.mafva@gmail.com , as with enquiries regarding subscription and back issue payments via internet banking and Paypal. We aim to provide our members with six issues per year of our magazine Tankette. It is a fully illustrated litho printed format and contains articles, photographs and drawings of tanks, self-propelled guns, half-tracks, armoured cars, trucks, artillery, uniforms, unit organisations, vehicles colour schemes and markings, kit conversions, histories, museums, scratchbuilding and modelling tips, as well as kit and book reviews. Each issue also contains several original multi-view scale plans, usually to 1:76 scale but also in larger scales. Each volume comprises six issues, with each volume starting January. 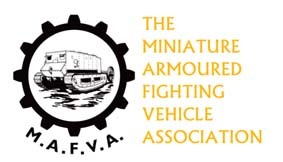 We encourage Family Members within the MAFVA. A Family Member may be anyone else living at the same address as a regular member who is currently paid up and receives the Tankette magazine. Members’ personal details are not shared with other organisations or unauthorised persons.